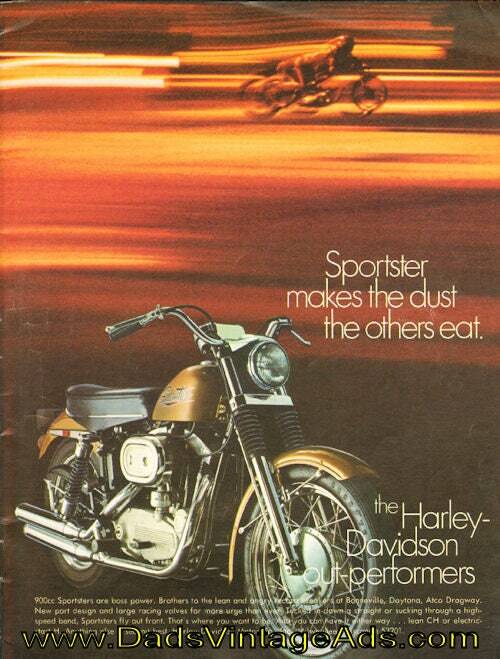 Sportster makes the dust the others eat. 900cc Sportsters are boss power. Brothers to the lean and angry record breakers at Bonneville, Daytona, Atco Dragway. New port design and large racing valves for more urge than ever. Tucked in down a straight or sucking through a high-speed bend. Sportsters fly out front. That's where you want to be. And you can have it either way...lean CH or electric-start H. Anything else is second best.